Move over Pinot Grigio, there’s a new white in town. Try this crisp $15 Vermentino (grape varietal) from Italy’s Tuscany region. Vermentino has gone under the radar for far too long, if you ask us. If you’re a white wine drinker—particularly Pinot Grigio and Sauvignon Blanc—you’ll like this 2016 called Calasole, from the Maremma region of Tuscany. Calasole means sunset, which is as good a time as any to enjoy this fresh-tasting wine. It’s a little richer with mineralogy than Pinot Grigio, so very good with all kinds of food, especially seafood or sushi, or just as a sipper at the beach. 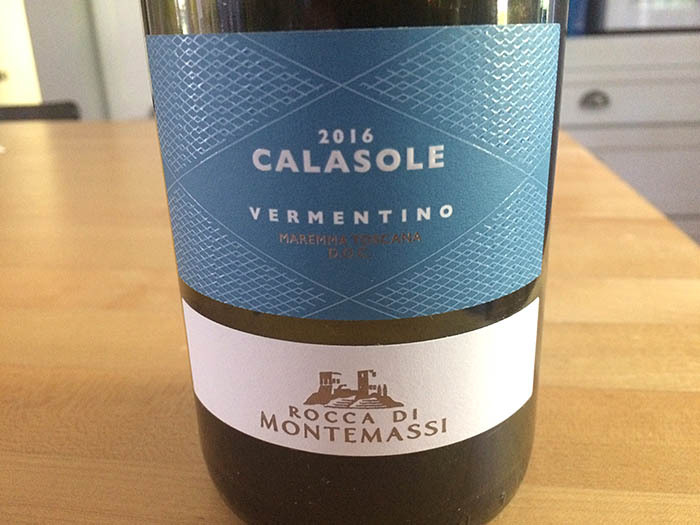 Tell your wine distributor that Goodman is the distributor for this Calasole Vermentino Rocca di Montemassi.